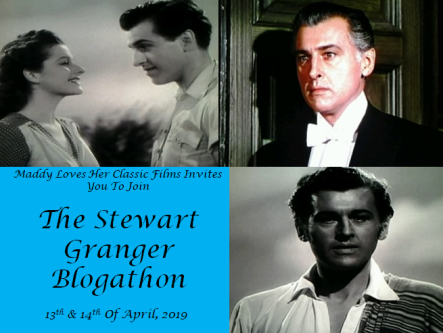 This post is part of The Stewart Granger Blogathon being held this weekend by Maddy of Maddy Loves Her Classic Films. Brief Synopsis – After Lot parts ways with his uncle Abraham, he travels to an area of the Land which is ruled by a difficult Queen ho wants everyone to do her bidding. My Take on it – This is another film that I chose for this blogathon for which I knew absolutely nothing about. I have read the Bible story that deals with the character presented here known as Lot many times yet they completely butcher the entire story as presented in the original text. Once one takes into account that this is a very liberal and fictional version of the source text, it’s easier to get a better understanding of what they attempt to do here even if they rarely succeed. The story as given feels very unoriginal or unique in it methods since it mostly deals with a man who brings his people to a new area and they must decide whether to integrate themselves into this society which is very different from what they are used to or remain a separate entity which will cause friction and perhaps war. 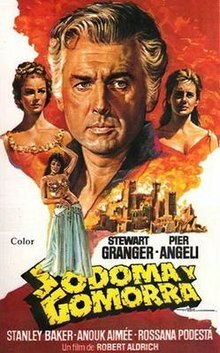 Stewart Granger is quite good in the lead role and is a very charismatic leader for his people even if the story and pot leave much to be desired. The film is paced horrendously and things don’t move along very well because it takes forever for things to actually happen here. Bottom Line – Terrible film that completely butchers the story told in The Bible. Taking that into account, the story presented here comes across as being very unoriginal or unique since it deal with the concept of a man and his people arriving in a new area and despite wanting to still remain a separate entity they still strive to become part pf the community around them. Granger is quite good in the lead role here, even if the story is lacking quite heavily. The pacing is quite horrendous and things move along at a snails pace throughout.